Add value and security to your home with residential fencing from Southway Fence Company. Not only is residential fencing a great way to add safety to your home by keeping out trespassers, defining your property boundaries and containing pets and small children, but it can also increase the appeal of your home. 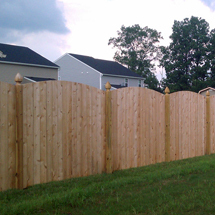 At Southway Fence Company in Canton, Ohio, we install and service high-quality residential fencing. Our premium products are sure to suit your needs, style preferences and budget. We can even custom design your fence to meet specific needs and project requirements. For more information about residential fencing at Southway Fence Company, Contact Us today or schedule your Free On-Site Estimate with one of our experienced representatives. 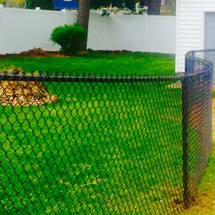 Southway Fence Company installs residential chain link fencing and accessories in all sizes, heights, gauges and styles. We can even custom fabricate your fence to meet any project requirement. From picket to privacy fences, we carry a premium line of residential vinyl fencing to suit your needs, style preferences and budget. 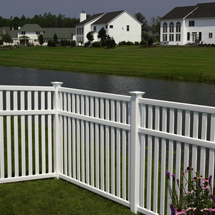 In addition, our fencing products are backed by a Limited Lifetime Warranty. At Southway Fence Company, we offer a variety of durable residential wood fence options, including privacy, shadow box, newport, picket and split rail with many heights and styles of decorative board tops. Add value and security to your home with an attractive, maintenance-free ornamental fence from Southway Fence Company. 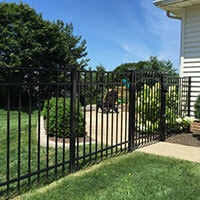 We offer residential fence options in steel and aluminum. Learn more. Enhance the appearance of your home's porch, deck or patio with porch railing from Southway Fence Company. We offer both vinyl and aluminum porch railing for residential installation. Learn more today.